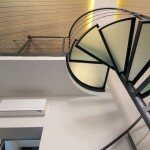 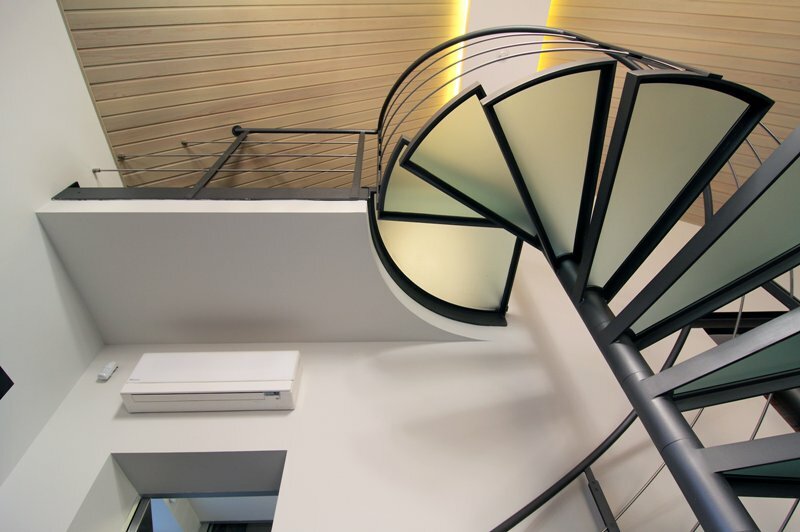 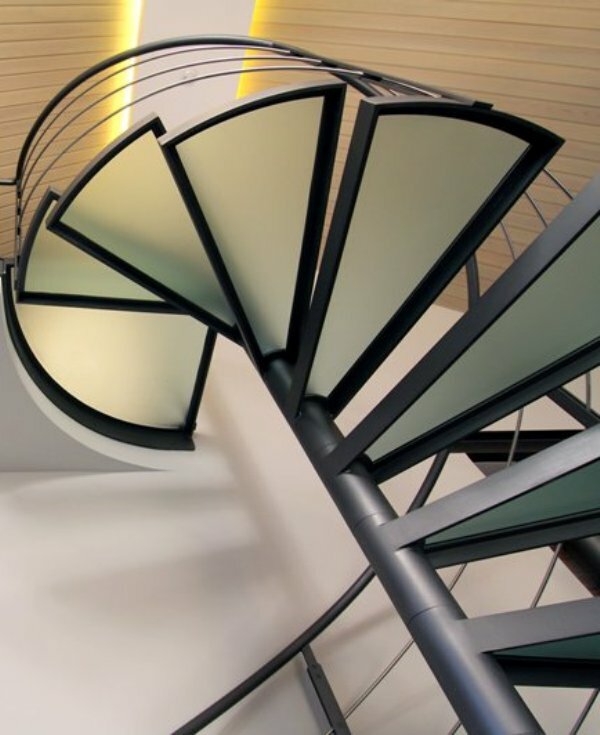 Round-based glass and iron spiral stair. 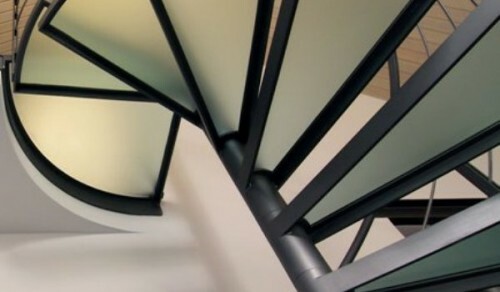 Central pole composed of turned cylinders on length for regular risers and no spacing rings. 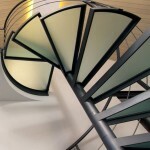 Layered glass tread , natural etched finish with steel outer frame.